From March 21-24, 2017, the Humanities Division at Essex County College will host its 5th annual Humanities conference, “Radical Humanities: The Radical Tradition in the Humanities.” Although the idea of radicalism can, in some ways, seem antithetical to our understanding of “tradition,” this conference will, in part, examine the roots and patterns of radical thought in humanities discourse (including literature, philosophy, art, music, theater, dance, media, architecture, and design) as well as explore works, ideas, and movements that may be seen as radical or revolutionary. Submissions due Friday, September 23, 2016. 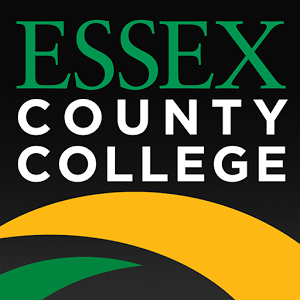 Essex County College in Newark, NJ will host a one day composition conference on October 14, 2016 from 12:00-3:00 in Smith Hall. This conference seeks to expand on last year’s first composition summit to further explore best practices in college writing and developmental writing courses. How can we best serve our students at the high school and community college level so they have the skills they need to succeed once they transfer to a four-year college and beyond? How can we attempt to align curriculum? What are best practices for teaching composition? Have acceleration models been successful? Are integrated reading with writing courses more effective? 1. Should composition courses (developmental and others) include other (in addition to MLA) documentation instruction? 2. Should literature be taken out of composition? 3. Department exams: how should they be governed/assessed? 4. How should a portfolio be utilized in the developmental and composition courses? 5. How should students transition from ESL to ENG? 6. How is technology used in the classroom? 7. How are support services best utilized? 8. How do you keep your part-time faculty aligned with your program objectives? 9. What innovative pedagogical approaches can we adopt? For all topics, we hope that you can provide assessment methodology and data (not limited to success rates, measurable learning outcomes, etc.). We seek submissions on best practices from all writing instructors from a variety of fields (rhetoric and composition; technical writing; creative writing; and more) to explain their systems for assessing and evaluating student writing in the college classroom. We hope to share ideas on how to improve composition courses on the high school, community college, and university levels. What issues are we facing and what are some potential strategies to remedy those issues? ECCcompositionsummit@gmail.com with “CFP” in the subject line. Please present your proposal in the body of the email. ECCcompositionsummit@gmail.com with “REG” in the subject line. Please include the full names of all the people you are registering and their affiliation.